Nanaimo-Info-blog: Too Much Egg Nog For Santa?? 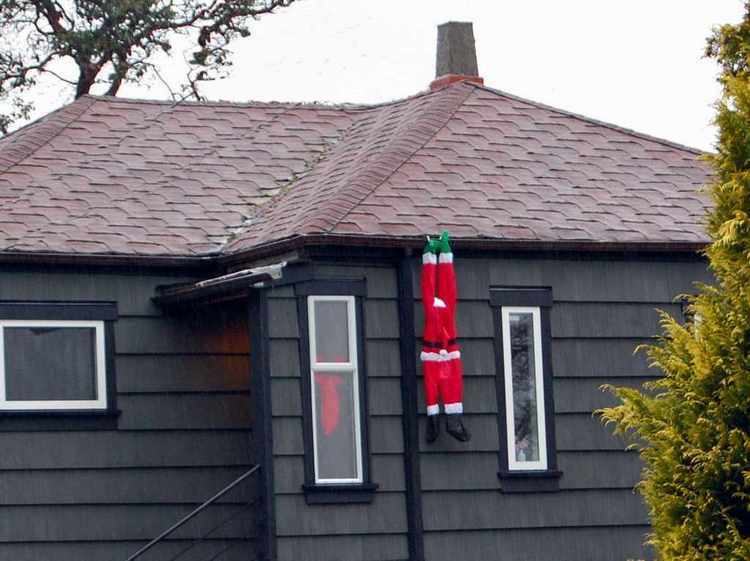 This hapless Santa was spotted on Millstone Ave. the other day while driving around in our liquid sunshine. 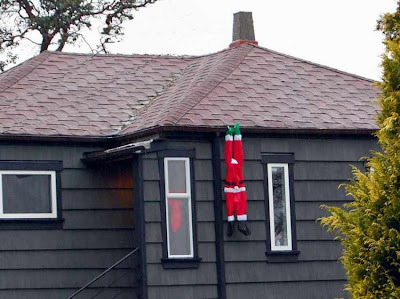 It looks like even old St. Nick should tie himself off before attempting to hang lights on the roof! Neither his reindeer nor Mrs. Claus were anywhere in sight so I suspect that after perhaps one too many egg nogs, Santa thought he would surprise the Missus by putting up the lights all by himself. The rest of the story would be pure speculation on my part, so you can fill in the blanks. Of course putting a finger to the side of his nose might be a challenge as he seemed to be hanging on quite tightly.